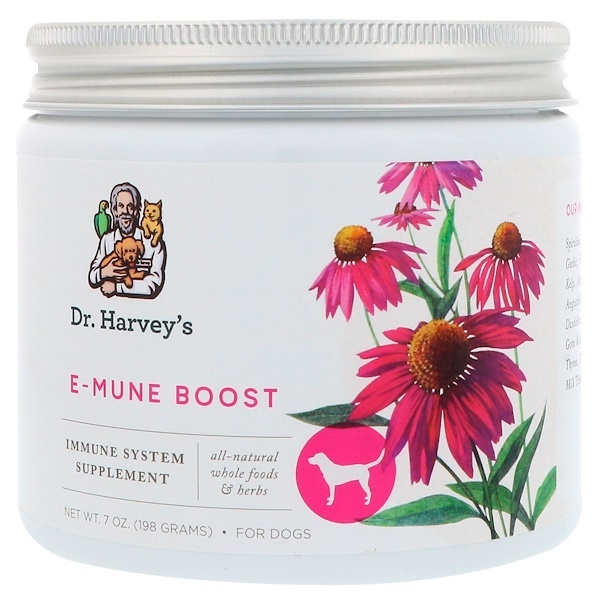 This whole food supplement has been formulated by Dr. Harvey, using a combination of wild-crafted and organic herbs that have been blended in a base of whole foods. This formula can provide essential amino acids, vitamins and minerals for your dog. Directions (per day): Mix with food. 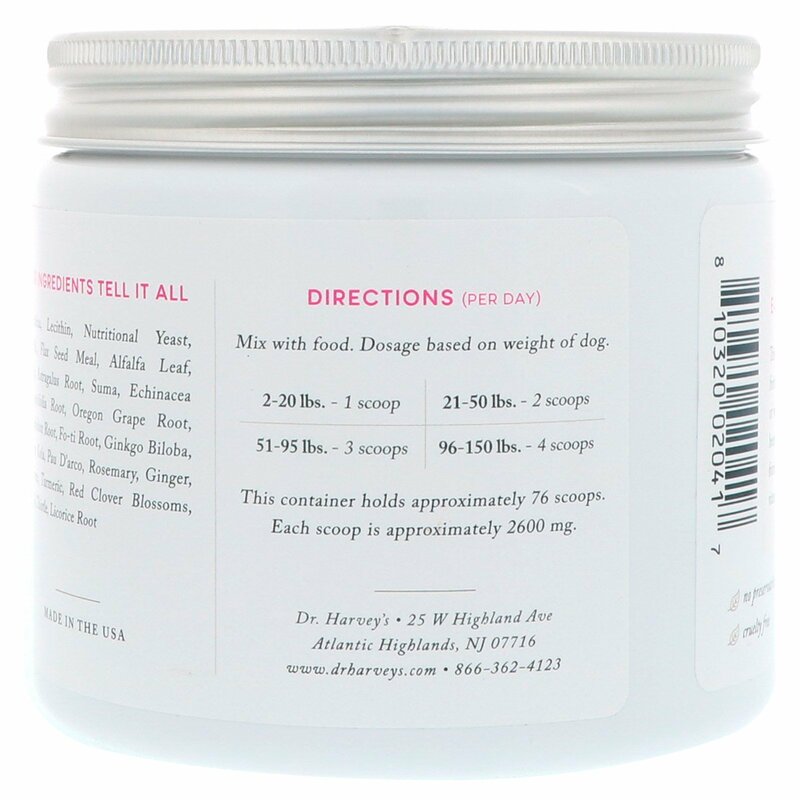 Dosage based on weight of dog. This container holds approximately 76 scoops. 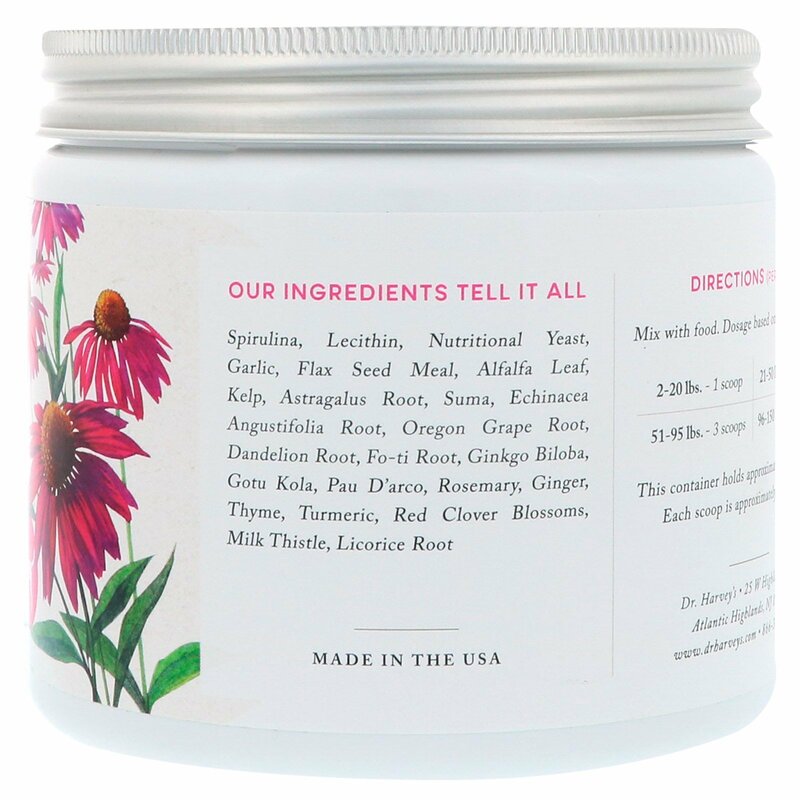 Each scoop is approximately 2600 mg.
Spirulina, lecithin, nutritional yeast, garlic, flax seed meal, alfalfa leaf, kelp, astragalus root, suma, echinacea angustifolia root, oregon grape root, dandelion root, fo-ti root, ginkgo biloba, gotu kola, pau d'arco, rosemary, ginger, thyme, turmeric, red clover blossoms, milk thistle, licorice root.